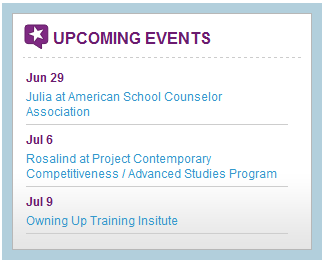 Clean, simple, cached widget that allows multiple calendars to be specified for one batch of “upcoming events”. Mix in the eccentric holidays, public holidays from google calendars, or whatever takes your fancy, with your calendar. 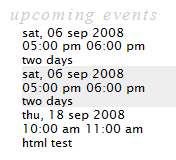 The widget requires the ical-events-list plugin. The current widget version is included in the plugin.